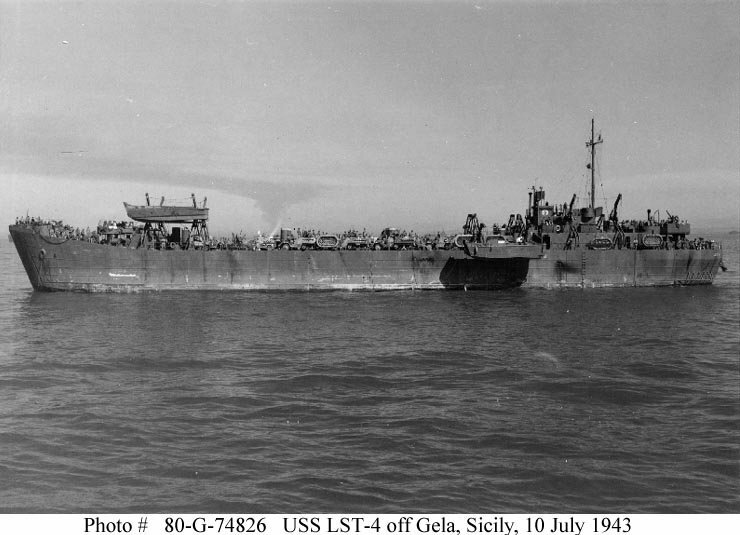 Laid down, 4 July 1942, at Dravo Corp., Neville Island, PA.
65k USS LST-4 unloading supplies off Gela, Sicily, 10 July 1943. 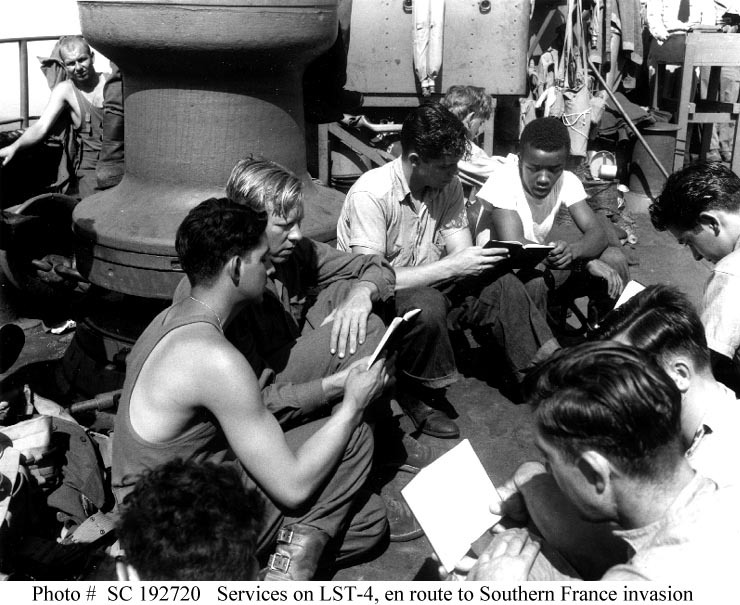 107k Soldiers and sailors singing hymns during religious services on board USS LST-4, while en route to the Invasion of Southern France, 13 August 1944. Photographed by Smith. Note capstan behind the men at left. 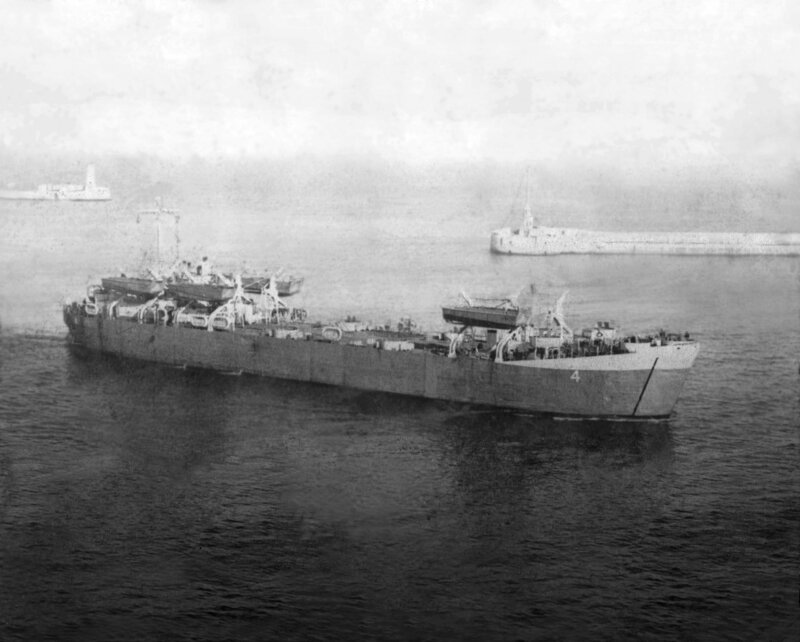 Photograph from the US Army Signal Corps Collection in the US National Archives. 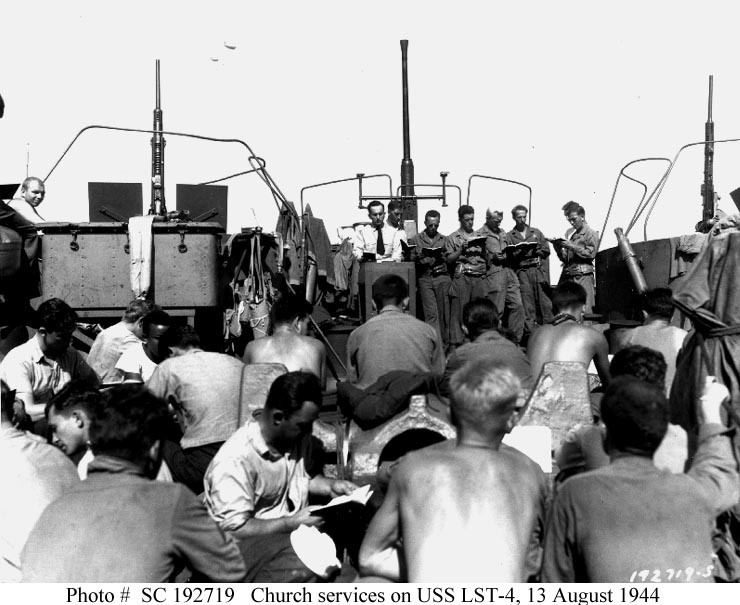 85k Church services for men of the Third Division, on the forecastle of USS LST-4, one day out while en route to the Southern France landings, 13 August 1944. Photographed by Smith. Note 20mm and 40mm guns, with limiting rails around them to prevent firing into the ship's structure. 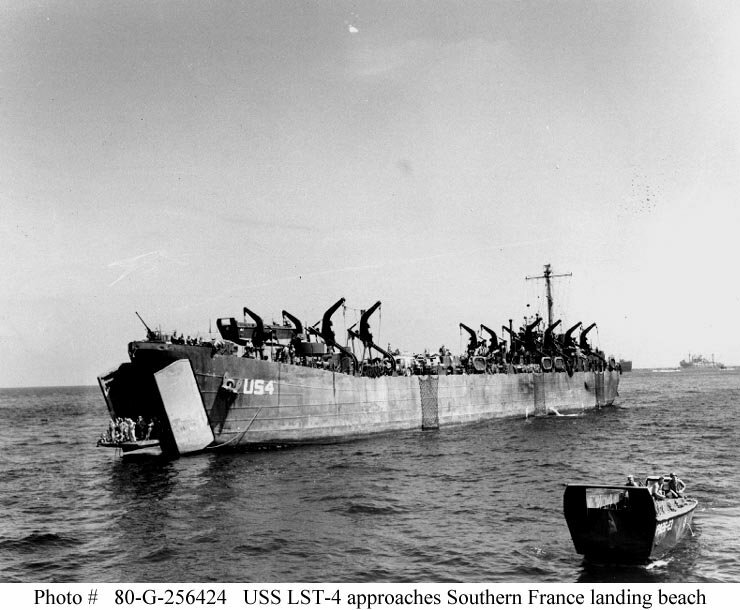 84k USS LST-4 approaches Yellow Beach, Pampelonne Bay, France, 16 August 1944.